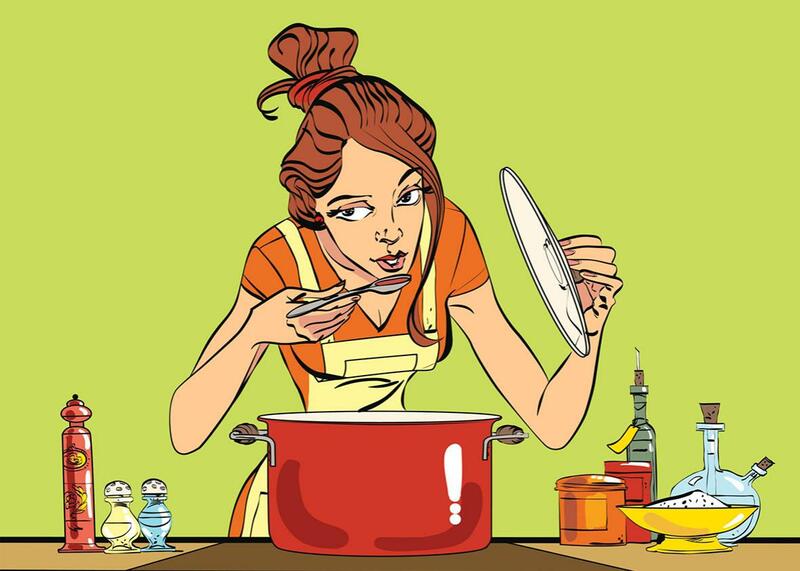 Allrecipes reveals the enormous gap between foodie culture and what Americans actually cook. The nation’s most popular recipe site reveals the enormous gap between foodie culture and what people actually cook. The first Google result for broccoli casserole (at least when I checked the other week, though the algorithm seems to change daily) is a dish by a home cook named Stacy M. Polcyn. “Awesome Broccoli-Cheese Casserole” calls for one can of condensed cream of mushroom soup; one cup of mayonnaise; three packages of frozen broccoli; 8 ounces of cheddar cheese; an egg; a quarter cup of chopped onion; then salt, pepper, and paprika to taste. Mix everything together, bake at 350. The dish has been given hundreds of five-star ratings from people who leave comments suggesting tweaks (“I added 1 teaspoon garlic salt”) and expressing their enthusiasm (“All I have to say is YUM!”). It is, of course, from Allrecipes.com. And at a time when readers of aspirational food websites are used to images of impossibly perfect dishes—each microgreen artfully placed by some tweezer-wielding stylist—Allrecipes offers amateur snaps of amateur meals. The site is awash with close-ups of sludgy-looking soups; photos of stuffed peppers that look like they’ve been captured in the harsh, unforgiving light of a public washroom; and shot after shot documenting the myriad ways that melted cheese can congeal. It is all, Kimball and his ilk would agree, extremely disappointing. It’s also perhaps the most accurate, democratic snapshot of American culinary desires. Allrecipes is the most popular English-language food website in the world. According to ComScore, last December the site got almost 50 million visits, the biggest month by any food site ever. Thanks to its mastery of search engine optimization, the site’s recipes constantly appear near the top of Google search results. If you look for “lasagna recipes,” as I did the other day, you’ll immediately find “World’s Best Lasagna,” a recipe that has been one of the website’s most popular dishes for 15 years. The recipe (which makes a perfectly tasty lasagna) was viewed more than 6 million times last year alone and has received more than 11,000 five-star ratings. In an era of celebrity chefs and recipe-kit delivery services developed by experts, a pasta dish by a Dallas dad who describes his heritage as “entirely Anglo-Saxon” is quite possibly America’s most-cooked meal. The gap between the food we cook and the food we talk about has never been larger. Culturally, it’s the same gap that exists between The Americans—the brainy FX spy show that seems to have nearly as many internet recappers as viewers—and shows like the immensely popular and rarely discussed NCIS. Breathless blog posts about the latest food trends can feel like certain corners of music criticism, pre-poptimism, when writers would obsess over the latest postrock band that was using really interesting time signatures while ignoring the vast majority of music people listened to on the radio. The food at Allrecipes is the massively popular, not-worth-talking-about mainstream. So, what are the meals that people are actually cooking in 2016? A look at the website’s “hall of fame”—recipes that have been highly rated thousands of times—offers a glimpse of the contemporary American palate. There are old-fashioned sounding dishes such as “Boilermaker Tailgate Chili” and “Apple Pie by Grandma Ople.” Recipes that dip a toe into flavors beyond middle America generally only get as far as “Baked Chicken Teriyaki” or “Chicken Enchiladas II” (the Allrecipes convention is to number each successive recipe for the same dish as if it’s a Rocky sequel). There are attempts to reproduce favorite chain meals, such as “Clone of a Cinnabon” and “Restaurant-Style Buffalo Chicken Wings” (the restaurant is Hooters). There is “Chicken Pot Pie IX,” which seems to have vaulted over chicken pot pies I through VIII on the strength of its unimpeachable moistness. To work your way through the Allrecipes hall of fame, Julie & Julia–style, is to be confronted with an obvious truth: Most people are far more concerned with convenience and affordability than authenticity or novelty. “Baked Ziti I” calls for sour cream in place of ricotta and makes a totally respectable casserole. To make “Zesty Slow Cooker Chicken Barbecue,” all I had to do was throw a few chicken breasts into a slow cooker along with half a bottle of barbecue sauce, a little brown sugar, and some Italian dressing. Last week, I went to my local grocery store and bought the ingredients for “Awesome Broccoli-Cheese Casserole.” In the midst of a busy weekend—days after moving into a new place, with deadlines looming and unpacked boxes everywhere—it was a relief to just mix together a few ingredients and throw a dish into the oven. The casserole tasted exactly as you’d imagine: an alchemy of salt and lipids designed to flow to the pleasure centers of your brain before, shortly afterward, migrating to the shame centers and then hardening in the arteries. I sheepishly brought the casserole to a birthday potluck. It was unsubtle and unfashionable, a dish no professional would ever promote. My friends, a couple with busy lives and a new baby, took the leftovers home and happily finished them the next day. For the most part, the hall of fame recipes are dishes that don’t require exotic, expensive ingredients. They’re familiar. They’re unpretentious. More than anything, they’re a reminder that although the conversation about food moves at light speed, with new trends pinging across our social media accounts daily, our actual cooking habits change much more slowly. Tastes are passed down from parents, palates developed over lifetimes. Shifts happen over generations, not weeks.